With only 18 days remaining before the official start of revenue service on the CATS Lynx Blue Line Extension, University leaders and more than 400 current and former local, state and federal officials, business and community leaders and representatives from Charlotte Area Transit Service (CATS) participated in a ribbon cutting on Monday, Feb. 26, at a new light rail stop on UNC Charlotte’s main campus, acknowledging one of the most transformational projects in the history of the University. Dubois has championed bringing light rail to campus since shortly after his arrival as chancellor in July 2005 when local leaders approached him to consider the project. The University’s student and employee populations were critical to ensure the ridership necessary to qualify for federal funding. Recognizing that UNC Charlotte’s involvement was essential to bring the plan to fruition — and that the BLE would introduce a new dimension of connectivity to the University — the chancellor embraced the idea and the partnerships that were essential to the endeavor’s success. “Without Chancellor Dubois’ leadership and vision to partner with CATS, the BLE would not have been possible,” said John Lewis, CATS CEO. The Blue Line Extension is scheduled to open officially for revenue service on March 16. View more photos from the ribbon cutting. 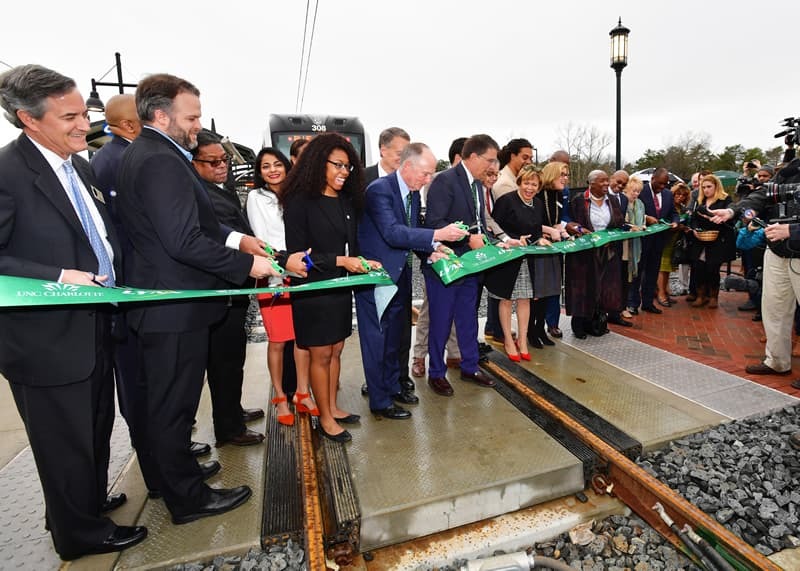 More information on how light rail will connect the University to greater Charlotte is on the web.